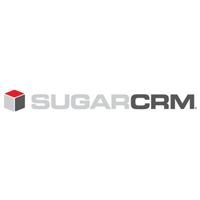 SugarCRM is a CRM solution that is highly customizable and enables users to streamline sales, marketing, and customer support to maximize user productivity. Its features include contact management, lead management, online CRM, sales force automation, and more. In this article, we cover user reviews and pricing. Ready to try SugarCRM? Get a free trial. Users who gave SugarCRM a positive review like the fact that it is user-friendly and highly customizable to suit a company’s various requirements. They also said that it has a powerful set of modules and features that are cost-effective and a strong customer support for end-users. 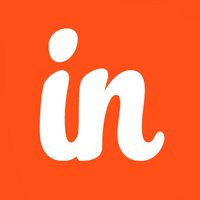 One user who gave SugarCRM a positive review on G2 Crowd said that it has an interface that is easy to use and understand with customizable features that fit the business’ needs using Mobile, Outlook plugins, and an unrestricted API. Users who gave SugarCRM a negative review commented that some features are outdated and need an upgrade. Another commented that some applications are not always working the way they should and additional training should be given to manage some features. One user who gave SugarCRM a negative review on Capterra is disappointed because the case management tools and interface design are outdated. He also noted that the software offers limited import tools, search function, and data storage. SugarCRM offers three paid subscription options: Sugar Professional ($40/user/month), Sugar Enterprise ($65/user/month), and Sugar Ultimate ($150/user/month).The main differences between the plans include the storage limit and type of customer support, as well as the access to premium features such as knowledge base publishing, advanced workflow, advanced reporting, and more. Ready to try out SugarCRM? Get a free trial. 6 Best CRM Software for Small Business in 2018 — CRM software helps your sales team stay organized so they can better focus their efforts and close more deals. In this guide, we compared more than 20 programs offering a range of options to determine the best for small businesses in terms of price, features, and integrations. What other resources can SugarCRM offer users other than a free trial? Interested users can access free ebooks, webinars, analyst reports that can guide them and know more about CRM and how it can help them succeed in their business. Does SugarCRM have a guide for CRM tools? Yes. Users can download their 37-paged guide in using CRM tools once you sign-up in their resources page. Not sure if SugarCRM is the right fit for you? Read our reviews of all top CRM software providers or check out one of these three SugarCRM competitors. The modules are great and straightforward. I think the Lead/Contact and Opportunity records are really well designed, and the options to customize drop-down menus is great. I have been using SugarCRM for 3.5 years now and creating a report is still very daunting. I think the best way to describe it is that it’s not super-intuitive. There isn’t anything that surprised me about this software. Good “standard” CRM features, with basic level SFDC feature and functionality at a reasonable price. It’s pretty good with reporting and has sufficient integrations above most lighter-weight CRMs. There is also sufficient customization that exists for database administrators. The “convert” option is a bit wonky for sales reps. They flow to save and convert which doesn’t save the opp.–creating another step for the AEs. When a modification is done on an opp lvl, AEs still receive email notifications from the previous info inputted and not the new data. Don’t base initial impressions of SugarCRM on the outdated Community Edition. Sugar is very customizable – after all it´s a platform. An upgrade safe way is provided for adaptations and you can almost adapt it to every business need. Even then, there are adaptation possible that don´t require any coding, which is another bonus. The workflow engine is very powerful and keeps on getting more and more powerful. The free Outlook plugin from SugarCRM is awesome! Rich functionality and nice integration makes it a pure joy to use in daily work tasks. Enterprise and Ultimate version have all the functionality included – no hidden cost, which is awesome. Nothing to buy after the deployment. Professional version does not include the workflow, so be aware of that. Report module in the current version is a “legacy module” (pre-version 7 style) but in the next 3 months a brand new, overhauled module will be released and according to the preview, many of the current complaints will be resolved. However, the email module, another “legacy module,” is need of a makeover – at least as my company would like to use it. Rumor has it that is also in the works but not for a few months. Nothing really comes to mind. SugarCRM seem´s to be a straightforward, no-nonsense company that we´ve had very experience with. Lots of customization options, on premise allows for ODBC connectivity and programmatic manipulation of data through something like FileMaker, etc. Support can be a challenge, and some issues can go a long time before resolution. We’re happy with SugarCRM. No CRM is perfect but this is by far the best of the four we have tried. Want a Free CRM Software?